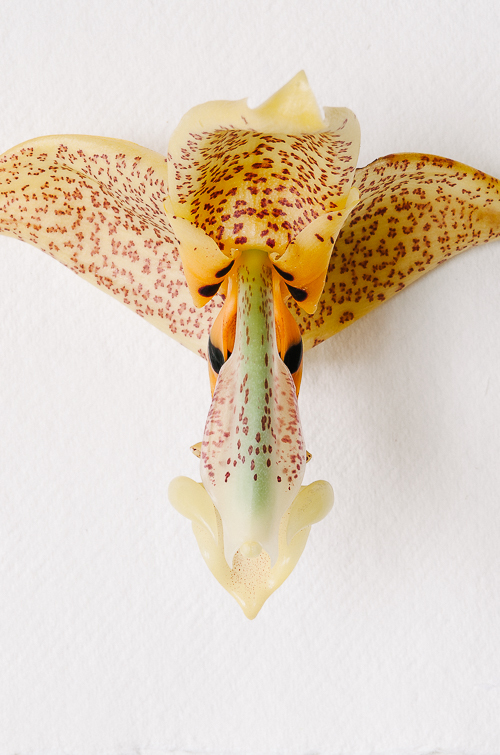 Lots of activity buzzing around our Stanhopea collection this summer. Last year's newly divided plants are now big enough to carry capsules, so I've been busy pollinating our plants. In addition, photographic documentation of our collection is now possible with a newly developed image library that references our plant records database. (Thanks Michael Wenzel and Cindy Jeness: you guys are terrific!) 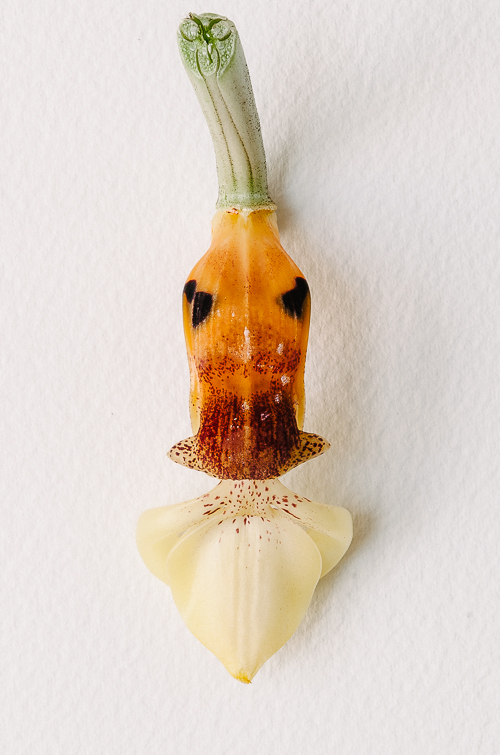 So I have also started systematically photographing each Stanhopea accession. 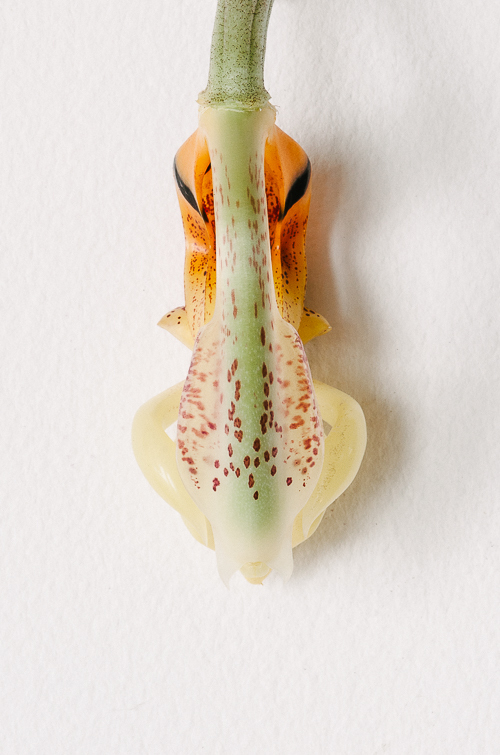 For each accession, there will be six images that show morphological features that are diagnostic for Stanhopea. When an identification needs verifying, like this one, I send the images to Dr. Mark Whitten and Dr. Günter Gerlach. As I learned from them, it's not always easy to put a name on a Stanhopea. The plant pictured here, which we received as Stanhopea oculata, is a good example. It has features in common with S. oculata, S. whittenii and S. dodsoniana. Which is it? S. oculata varies enormously in the size and morphology of its flowers over its wide range (Mexico to Venezuela). Its fragrance is similar to several other morphologically similar species with whom it shares pollinators, making the existence of natural hybrids within populations likely. In fact, Rudolf Jenny states that S. oculata populations frequently consist of a mixture of both of the parents, natural hybrids, and back-crosses. 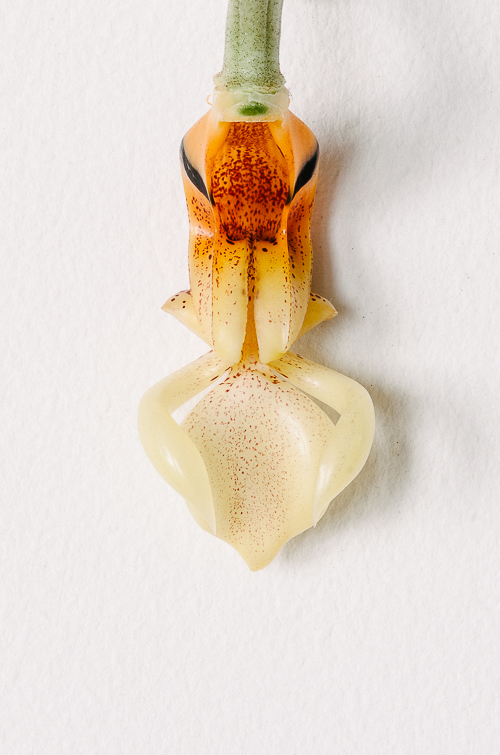 So, is Stanhopea oculata five new species with some shared characteristics? Or do we treat it as one widespread species complex on its way to becoming new distinct species? 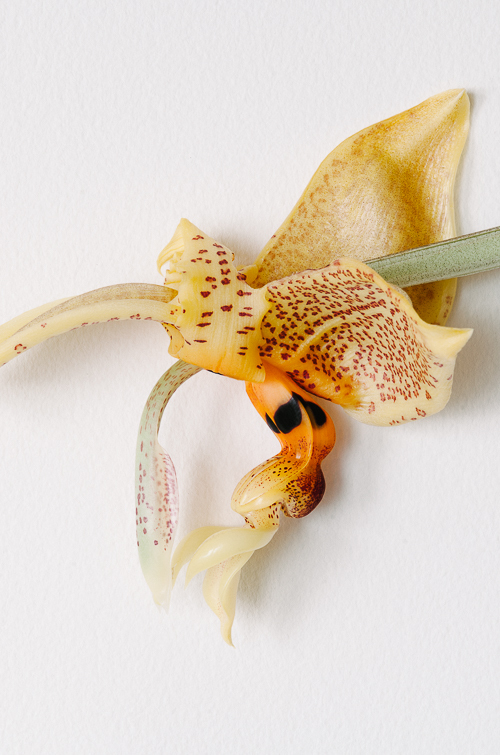 What is Stanhopea oculata? And what the heck do I write on this plant's label? Right now, there's not a good answer to these questions other than 'more work needs to be done.' 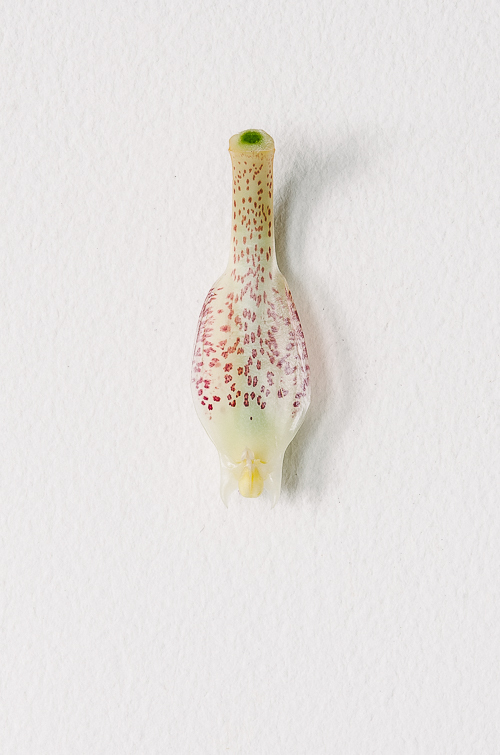 For now our plant's identity remains as we received it: Stanhopea oculata ABG# 96-0801. In spite of the taxonomic uncertainty, I'm having a blast. Typically, I use the oldest flower on the inflorescence as the capsule parent and the youngest flower for dissection. Dissecting them inspires awe and admiration. These plants are so beautiful. It's a privilege to do be able to document them.